Portland rocks!! 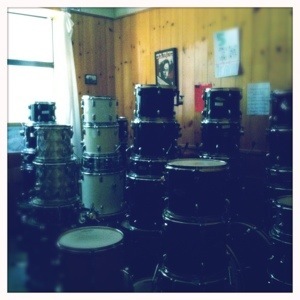 | COMO GIRLS ROCK! Hey everyone! Amanda here. I’m on tour with my sister band Dubb Nubb and today we are in Portland, OR. 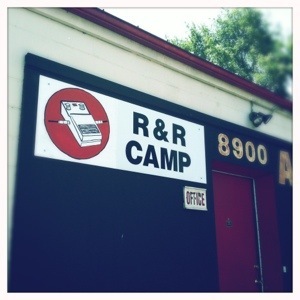 This morning we stopped by the Rock n Roll Camp for Girls here to say hi and ask some questions about starting our camp. 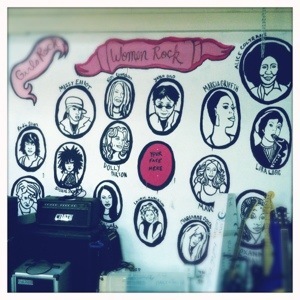 They were the very first girls rock camp and it was awesome to see their facility full of musical equipment, painted murals, show posters and full time staff members. It was super inspiring and they were glad to hear about our brand new camp. Dubb Nubb is touring the west for the next 2 weeks and we stop at the camp in Oaklad to play a lunchtime concert for the campers! We will take photos and video to share! Happy summer! Comments Off on Portland rocks! !